The last couple of months have been (what feels like) a never ending battle to pack up my Aunt’s house and empty it out so we can list it on the market for her. She’s not really in a position to help (anyway she’s 82 and there isn’t a lot she could do) and as it stands, today (Saturday) she’s scheduled for yet another surgery – this will be the second major one in a couple of months. At the current time, most of her belongings are packed in boxes and taking up an awful lot of the main floor of my home…I’ m beginning to feel like a “hoarder”. Two rooms are completely full, with only a small pathway one can navigate if they are careful. 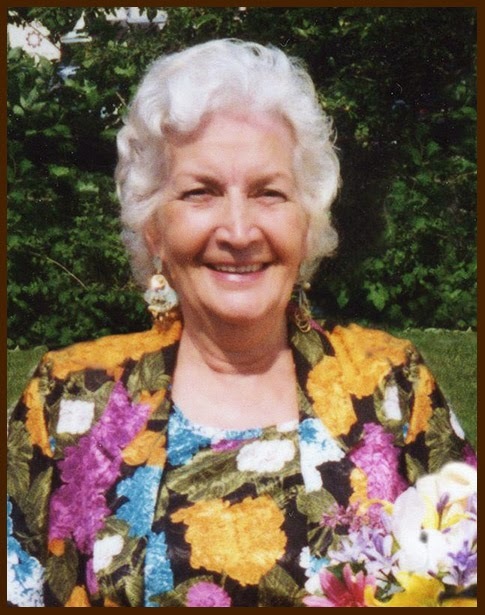 The plan was to have large garage sale and sell off the works, except for the few smaller things she could fit into a private room in a Nursing Home (still waiting for that – the wait time is 6 months to a year). I spent nearly two weeks UNpacking all the boxes we brought here, washing the stuff in them, pricing them and then REpacking them so that we’d be ready come garage sale day. That’s today. Unfortunately, it appears to be raining, and on checking the weather…is going to continue raining all day. I’m not sure what we’ll do at this point (shudder). For most her married life, my aunt has been a collector of blue and white. 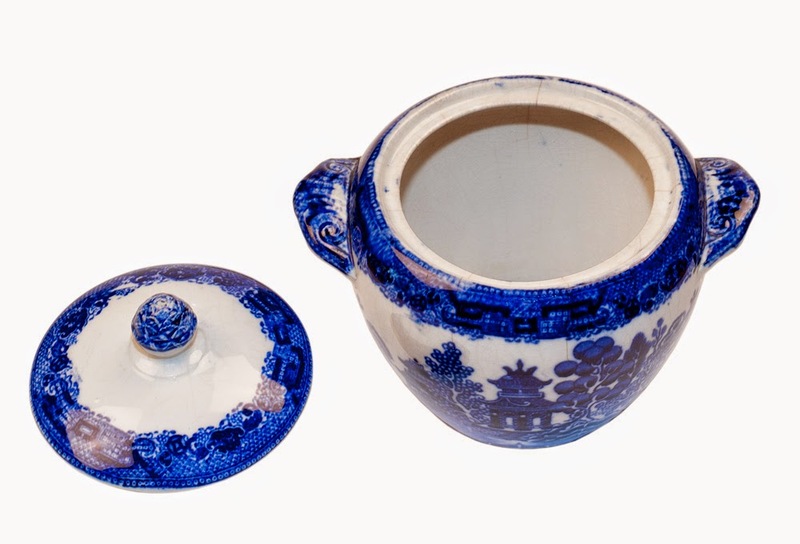 It started with Delft, and blossomed into almost anything that was blue and white . 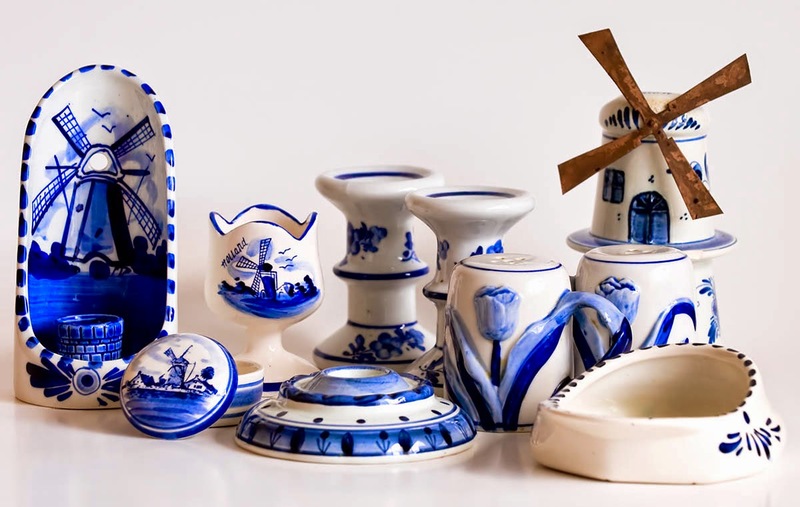 She has a rather extensive collection of Delft, and a collection of Royal Crown Derby china in blue white; the pattern title is “Mikado”. Unless you happen to be a china collector you wouldn’t understand how difficult (or expensive) it is to try to collect that particular pattern. She also had a large”ish” collection of Blue Willow (old stuff, not the kind you can buy today). On top of those, she has a large (12 full place settings) of Royal Doulton dinnerware in the Fleur deLis pattern – lovely and delicate, but difficult to match today. It’s about 45+ years old. That’s only a smattering of the things in her home – she had a fetish for oriental figurines and decor, though we’ve passed on many of the smaller pieces to my niece, who (she’s 15) had fallen in love with my aunt’s oriental pieces. I’m really not sure how much longer I can live with all this stuff in my home. I’m an orderly person when it comes to my home – everything placed just so and not a lot of nic-nacs. Being surrounded by boxes and boxes of “stuff” (even good stuff) has made me a little crabby of late – not being able to clean properly or keep things tidy has kept me from doing some of things I do on a normal basis – my photography studio is one of the rooms that’s filled floor to ceiling and wall to wall. There’s a small path leading to the storage closet with my equipment, but the equipment isn’t that much good if there’s no where to set it up. My office is the other room that’s packed with boxes, with a pathway to my computer. Unfortunately, I can’t get into the shelving units, or my file cabinets, and although I can “reach out and touch” my printer, I can’t open it (too many boxes in front of it) to put in the paper (not the paper roll, nor the sheet papers) so even making prints to sell is out of the question right now. (sigh) This too shall pass.